The simple answer is download the Shapewatch app, step on the weighing scales, scan in the 2 positions specified, then view your results on the Shapewatch app. Simple, time-efficient, and effective! Download the Shapewatch app on your phone using the App Store, Google Play, or when in China, from your favourite Chinese app store. Open up the Shapewatch app and create an account by pressing "Sign up now!" Select your height and gender, and then chose to sign up using email or one of the social logins (Facebook or Google account). Make sure that your height is correct as the algorithms that calculate your shape when doing a scan uses this as a reference. So please measure your height if you are unsure of it. As you log in for the first time, a step-by-step guide will appear, which users should take time to understand. This introductory video can be found within the settings section, located at the bottom right of the home screen. When the guide is finished, users will be taken to the home screen of the Shapewatch app. 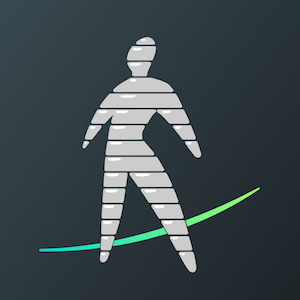 To do your very first scan, hit the "Add Scan" sign at the bottom centre of your Shapewatch app. Select "OK" when asked, "Do you want to scan now?" A QR code is now generated on your phone's Shapewatch app. This QR code should be shown to the QR reader on the Shapewatch Kiosk. Once logged in and instructed to do so, step on to the Shapewatch weighing scale and wait for the weighing to complete. This will be displayed on the screen of the Kiosk. Stand with your feet in mat position 1 which will correlate with the two red boxes on the kiosk console, and adjust their position in order to turn them to green. There are arrows on the console that will guide you to move your feet closer or further away from each other if needed. After the feet icons turn green, point and stretch your arms towards the red targets on the console with your palms down. Arrows will appear on the console to guide your arms into the correct position, which will highlight in green once the correct arm position is achieved. When you are in the correct position, relax, breathe out and the kiosk will countdown from 3 to complete the front scan. turn 90 degrees to your right, and shift your feet around until the red feet icons on the Shapewatch console turn green; this being achieved with your feet together. Arms should be placed straight down your sides with elbows and hands pressed against your side, ensuring that they are aligned alongside your body, i.e. not protruding either forward or backwards. When instructed to do so, you will be asked to turn your head in the same direction as your feet, i.e. 90 degrees to the Shapewatch kiosk, meaning you will temporarily move your line of sight from the kiosk for a countdown of 10 seconds. During this time the scan will initiate, countdown and complete. Both the Shapewatch kiosk and the Shapewatch app on your device will now indicate that your scan is processing, and once complete will notify you to review the results on your mobile device. Users can review the results of all of their Shapewatch scans from their Shapewatch app. Within this app view, the users avatar is presented in augmented reality. Within this section, users can update their settings or review the introductory video. All of the user's scan data and avatars are available within the Shapewatch app. In order to find previous scans the user simply scrolls from left to right on the timeline graph in the bottom section of the Shapewatch app. By scrolling left and right, users will be able to visualise any changes made to their avatar over the period of time being compared.